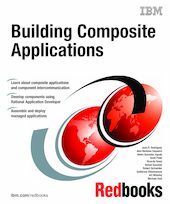 This IBM Redbooks publication covers composite applications for desktop solutions that require multiple types of applications to run in a cooperative environment by providing intercommunication between components. Service-oriented architecture (SOA) composite applications deliver high levels of business services and this book covers the architecture, available tools, component considerations, as well as assembling, deploying and wiring components in WebSphere Portal and Rich Client Platforms, such as Lotus Expeditor and Lotus Notes 8. Lotus Expeditor is a client platform for end-to-end smart client application solutions. Expeditor provides services to install and manage these applications and allows users to easily launch and switch among these applications. Expeditor leverages Eclipse technology to provide a client solution that runs on multiple operating systems. The benefits of composite applications include reducing the total cost of ownership for client solutions through reusability of existing components and the sharing of these components across applications, migrating existing applications to run on the client platform, controlling access to applications based on roles assigned to users and improving the user experience by allowing composite application components to easily communicate between them. This publication is targeted at architects, developers and administrators who need to understand the implemented architecture to develop, assemble and deploy composite applications in Lotus Expeditor V6.1.